"The Blood Cries Out" was nominated Best Long Form Music Video in the 2007 Native American Music Awards! It was also a featured selection of the 2007 Santa Fe Film Festival! 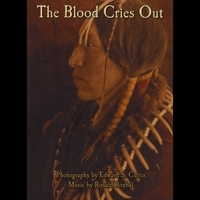 Order "The Blood Cries Out" with confidence from CDBaby.com You can also buy DVDs at CDBaby! For International Orders, please use CDBaby!